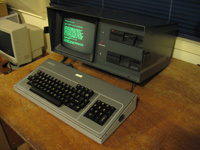 Last week I was contacted by someone (Laurie) who wanted to give their classic computer a good home, Laurie's first computer, a Kaypro 4, had accompanied him during a number of house moves over the years. He was shifting again, but this time he decided to finally part company with that old workhorse. 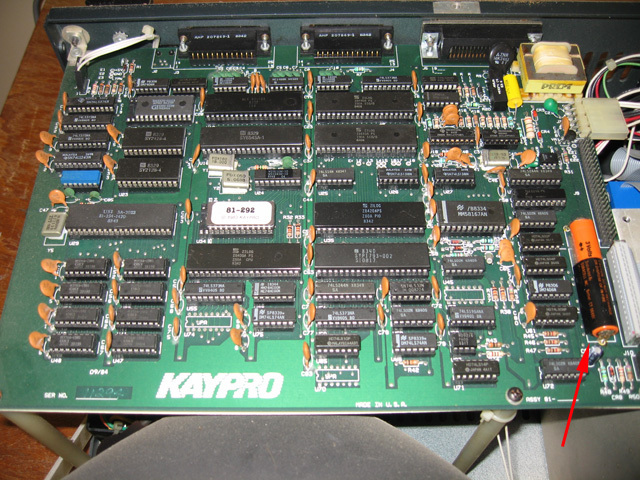 I already had a Kaypro II in the collection and room in the computer shack was starting to become scarce. However, I do love these classic CP/M machines and the only cost to me was a one hour drive to pick it up so how could I refuse! Not only did Laurie donate the machine, but he also gave me a STACK of Kaypro manuals and disks. Great! 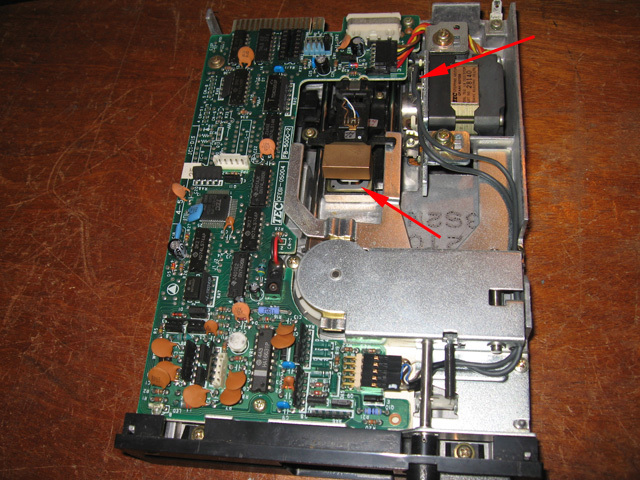 Before switching on, I removed the cover just to make sure the innards were ok. Everything seemed in very good condition including an original 3V battery used to power the real-time clock (Figure 1)! I was amazed this hadn't leaked! Visually the battery looked fine, and it even held a small charge of 1 volt. Kaypro obviously had picked a good battery supplier. Anyway, it won't stay there, because the risk of leaking (and damage) is very high. Sometime very soon I'll remove it and solder in a battery holder for modern cells. After screwing the cover back on and giving the outside a good clean with soapy water to remove the dust and grime it was time to fire the Kaypro up. One of the first things I noticed on switching on was the gentle sound of a fan. My Kaypro II doesn't have one. Soon a bright crisp message appeared asking me to insert a disk. So far so good. For starters I tried to boot the machine with my own Kaypro II disks. No joy. My disks were for single sided drives whereas the Kaypro 4 had double sides ones and I figured this was probably the reason. 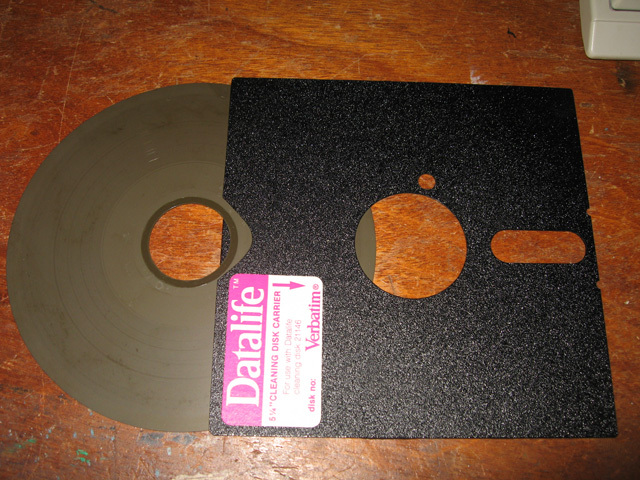 I knew from experience that old disks can suffer from media degradation. Not only do the disks not work, but they can seriously gum up the disk heads with residue. 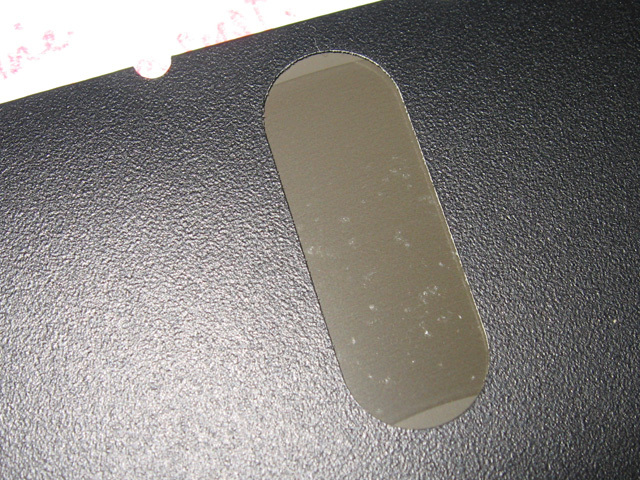 I visually checked the disks I'd been given and sure enough, over 3/4 of them were damaged (Figure 2). Unfortunately the worst ones were the original Kaypro software disks. There were a few that seemed ok, so I tried to boot the machine with these. Success! Well, at least partial success. Sometimes the machine booted and sometimes it's didn't. Copying these disks also failed. Results seemed variable and intermittent. Given that sometimes a disk would work and sometimes it wouldn't I figured the problem was probably with the drives. I suspected both the rails and head needed a good clean. Removing the drives was no easy task! In order to unscrew the drives I had to remove not only the board but the tube as well! Given that the drives are the most likely parts to have problems you would have thought Kaypro would have made it a little easier to get them out. Anyway, eventually after much angst I had both drives removed. Swabbing the heads with alcohol removed some black gunk and I cleaned and lubed up the drive rails with silicon grease while I was at it. Having cleaned the drives and re-installed them, I was reluctant to put any of the accompanying disks back in there. 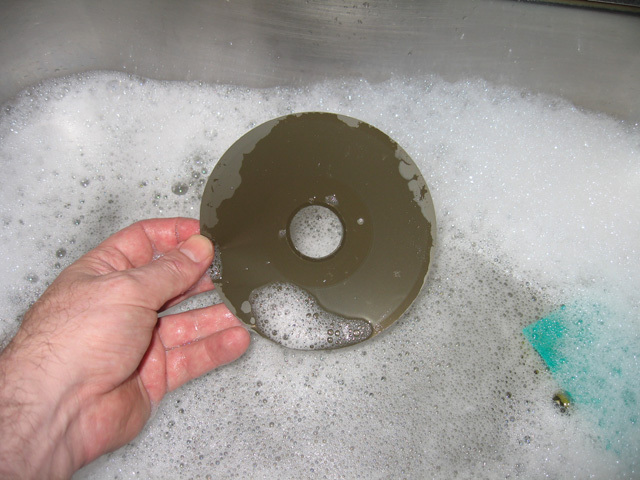 Even though some of these disks looked ok, they had all seen better days. I didn't want to dirty things up again. I figured I had two options. I could make some Kaypro 4 disks from Dave Dunfield's collection or I could remove the original disks from their jackets, wash them in soapy water, put them back in a temporary jacket and see if I could copy the contents onto fresh disks. I decided on the latter. I had seen someone use this technique successfully on old TRS-80 disks so I had some confidence it would work (Figure 4). What's more I had a disk jacket for a cleaning disk I could use for the purpose (Figure 5). This technique worked! For most disks, I found I eventually got a track error with a straight disk copy but if I used PIP to copy all the files onto a pre formatted disk everything usually came across. The only program I couldn't recover in the whole set was a game called Ladder on the BASIC-80 disk. 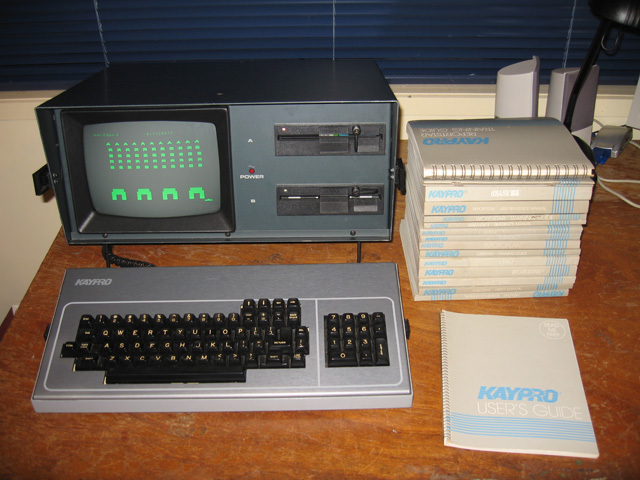 With its drives cleaned, a full software suite and the manuals to boot, I now have a fully operational Kaypro 4. Even though I've got a Kaypro II, I'll keep this one. It looks great in its charcoal grey colours, has graphics capability and should make a cool CP/M machine to play around with! Many thanks to Laurie for a nice Xmas present!